and nectar that was stored in the honeycomb. Made with sustainable ingredients and emit very little smoke when trimmed properly. 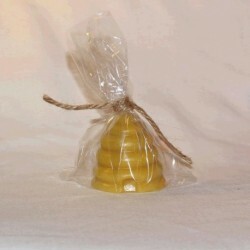 Small Beehive candle. 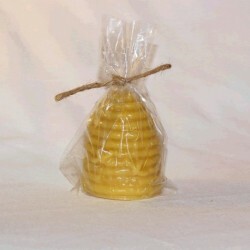 Fill your home with the intoxicating scent of honey and beeswax. Each candle is hand poured and made from 100% pure beeswax from our hives in Billerica, MA. Always burn candles safely. 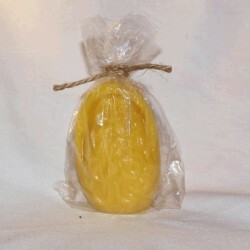 Weight of candle is approximately 1.5 oz and measures approximately 2 inches by 2 inches.